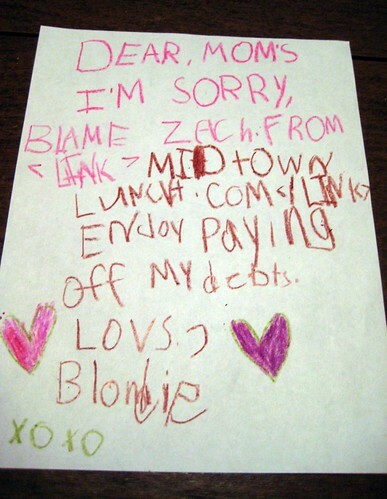 "Zach is right. They do look scary up close. There are a couple options. Should I get the double cheeseburger bulkie? What does bulkie mean? I thought it said bulgogi at first, but I was sorely mistaken. 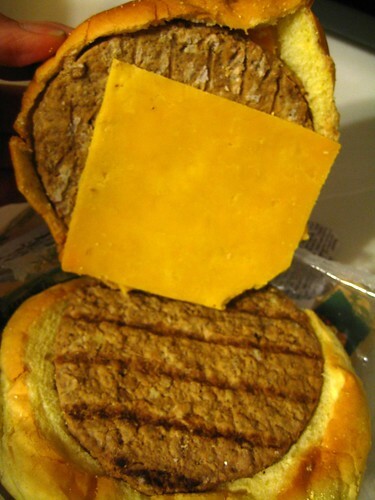 I will not get the steak and cheese; that looks too vile." Dear Jesus, if I die, please don't hold my early 20s against me. "Oh, Immodium, I should probably get that too. They should sell the Immodium with the food, to make it easier on people. We're New Yorkers; we want to get the hell out of Times Square ASAP." "I need to write a death note because what I'm about to eat may kill me. I love you." "Why would you want to eat something that will kill you?" "Well it probably won't. I'll most likely just get violently ill."
"I'm going to need a chaser. I can't think of a better reason to dip into my Blue Label. It will kill the germs." 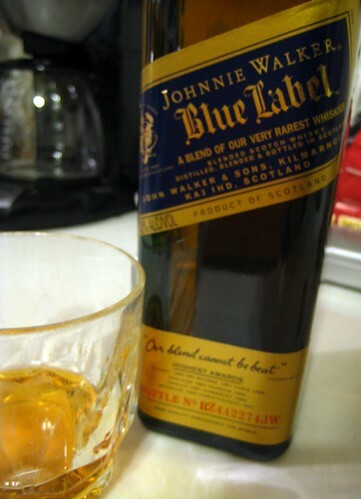 If anyone can save me, it would be Johnnie. "I can't take more than one bite. I just can't." "Hmm, it sort of tastes like the burger from Zen Burger. Faux meat is so weird. Pretty disgusting, no more than Danku." Haha, this was hilarious. I don't know if I'd eat "food" from Walgreens. Eeew. You are brave. 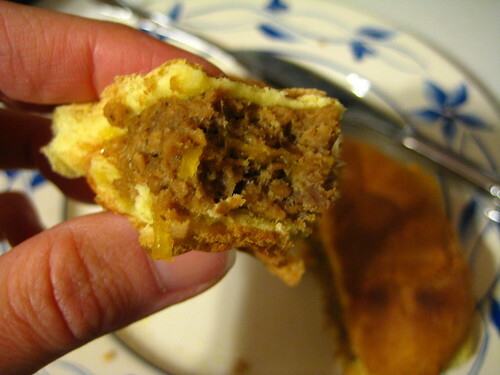 Bulkie is a type of roll (like a braided challah roll). 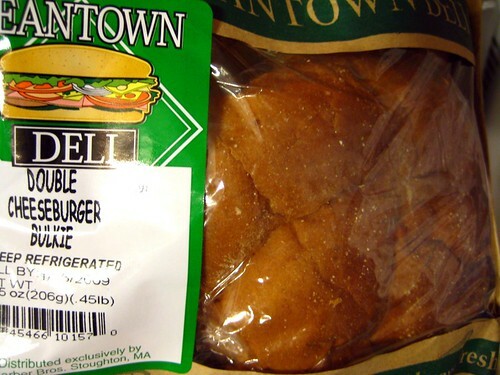 "Bulkie" ... that's so funny, when I was little, growing up in VT, my mom called Kaiser rolls "bulkie rolls" - I think it's a New England thing. These were packaged in Mass right? Go figure. We have something similar looking in the UK for 99p (just over a $) - I see lots of people filling up their trolleys with these in Adsa (Walmart) to feed their kids! Once we saw a mother and 3 kids with nothing but these and microwave fries - I did wonder if her children ever saw a green! 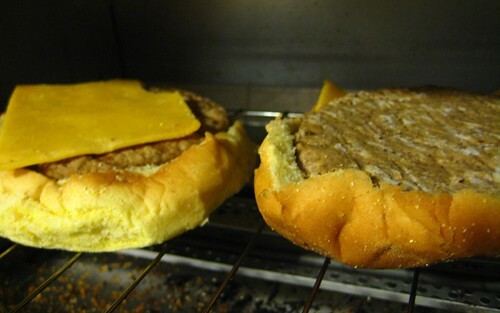 They're plain nasty and you'd be as cheap to make your own burgers from mince I think!